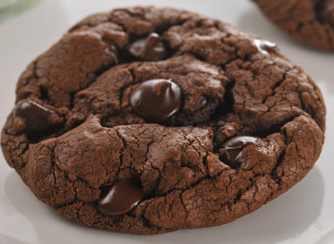 These "Triple Chocolate Delight Cookies" are chewy, rich chocolate, are absolutely delicious.They stay soft and moist for weeks in a container. These are great cookies to ship to family members and friends for the holidays. Cream butter, oil, and sugars in large mixing bowl. Beat in eggs, extract, and pudding mix. In separate bowl, stir together flour, cocoa powder, baking soda, and cream of tartar. Slowly add dry mixture to creamed mixture. Fold in chips and nuts until they are well blended within the dough. Chill for 1 to 2 hours, if not chilled dough will be too sticky for next step. Roll chilled dough into balls and place on ungreased cookie sheet 2 inches apart. Coat the bottom of a glass in oil (first cookie only), and dip into bowl of sugar. Press down cookie balls with glass. Dip glass into sugar and repeat on all. The cookie will not bake correctly if this step is skipped! Bake until edges of cookies are just golden, not entire cookie, between 10 to 15 minutes depending on oven and size of cookies. Let cool completely before removing from pan! They are very tender and fragile when hot. 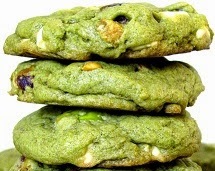 These "Pistachio Pleasure Cookies" with white chocolate chips are chewy, rich, and absolutely delicious.They stay soft and moist for weeks in a container. These are great cookies to ship to family members and friends for the holidays. In separate bowl, stir together flour, baking soda, and cream of tartar. 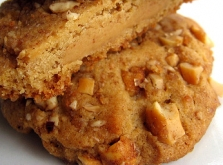 Wow oh wow, I love peanut butter and these "Peanut Delight Cookies" are absolutely worth going wild for. They stay soft and moist for weeks in a container. These are great cookies to ship to family members and friends for the holidays. Beat in eggs, vanilla, and pudding mix. 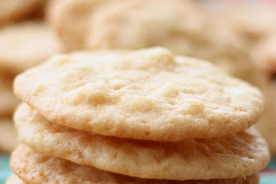 These thin, crisp, lemony cookies, slightly tart from plenty of lemon zest, sweetened with white chocolate chips and loaded with almonds nuts makes them "Lemon Dream Cookies". They stay soft and moist for weeks in a container. These are great cookies to ship to family members and friends for the holidays. 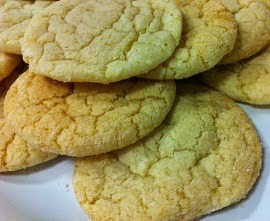 These are "The World’s Softest Sugar Cookies" I have ever made! My family begs for these cookies several times a month, LOL! They stay soft and moist for weeks in a container. These are great cookies to ship to family members and friends for the holidays. Let cool completely before removing from pan!!!! They are very tender and fragile when hot. © Fast-n-Delicious 2013. Simple theme. Powered by Blogger.